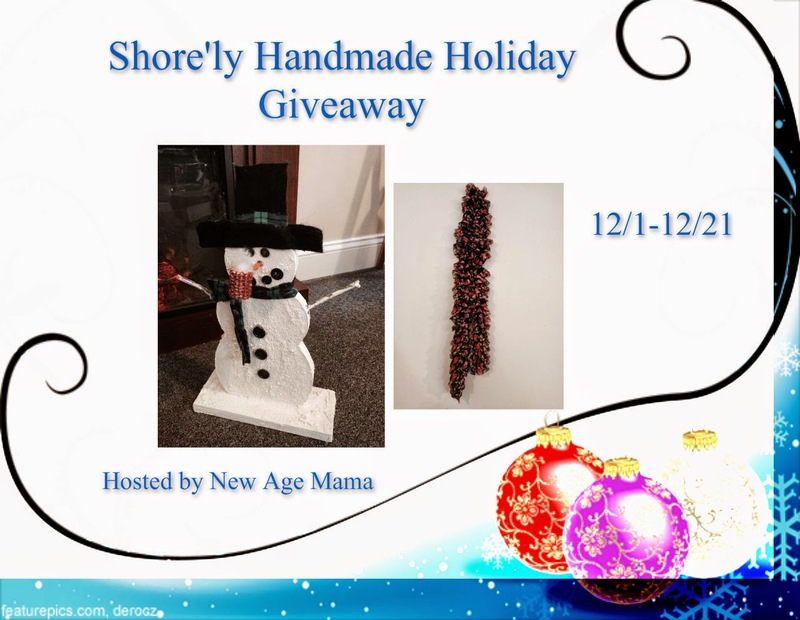 Here we have a holiday giveaway with some homemade goodies. Check it out and if you're US based, you have through 12/21 to enter to win. And, if you're in Cape May, NJ, be sure to stop by. The best gifts are made by hand. Shore'ly Handmade Crafts & Gifts is a little shop located in the Victorian town of Cape May, NJ. 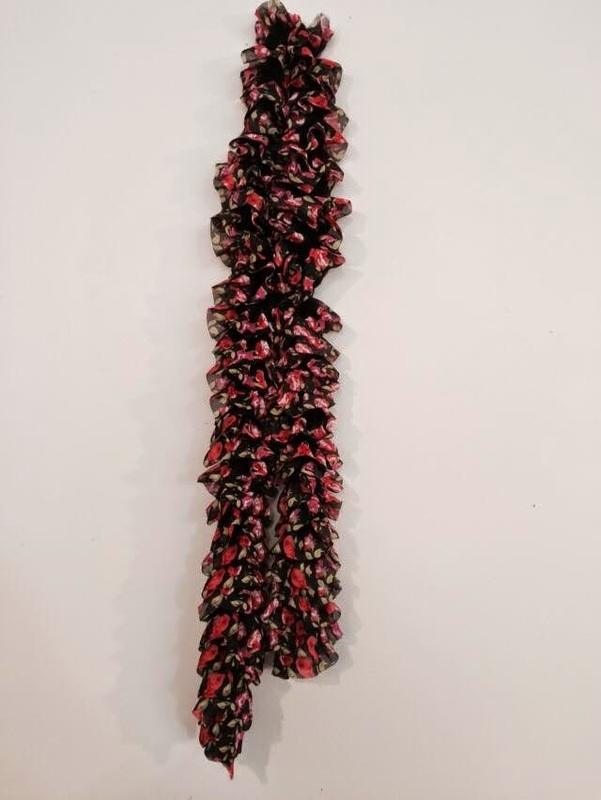 They offer a variety of artisan gifts including woodworking, scarves, jewelry, and so much more. Two of the artists also sell their wares online at Etsy.com. To help get the word out, they are sponsoring an amazing giveaway. Wendy Taylor Knits is offering this beautiful hand-knitted scar--the perfect way to stay warm all winter long! 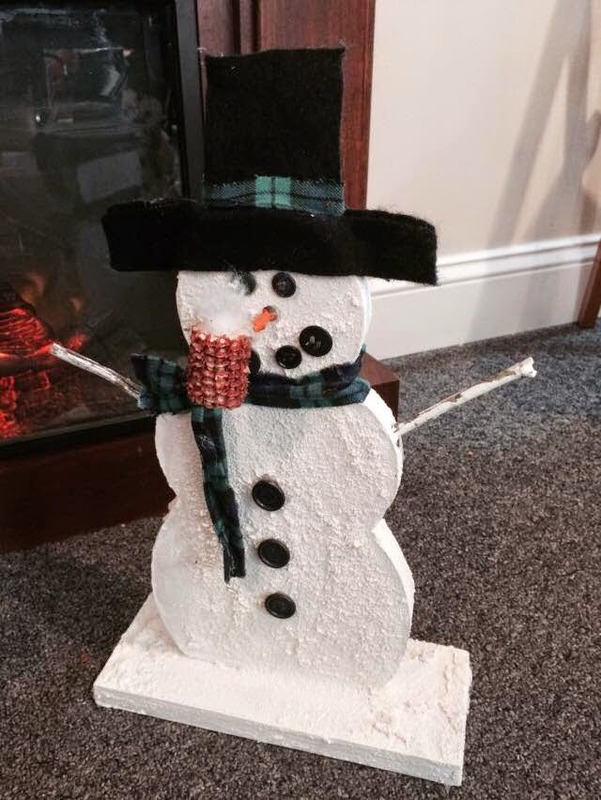 Down Home with Sally is offering up this gorgeous wooden snowman, perfect for indoor or outdoor display. One lucky winner is going to receive both of these beautiful prizes! To enter just fill out the Giveaway Tools form below. Open to the US only. Giveaway will end 12/21/14. The winner will be notified via email and will have 48 hours to reply. Thanks again to the sponsor for offering this fantastic prize.